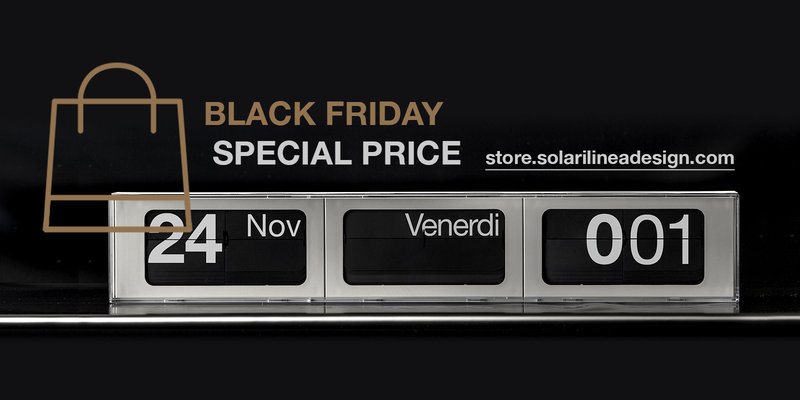 For Black Friday, solari lineadesign offers a 20% of discount for the clocks ordered via online store www.store.solarilineadesign.com, exclusively during November 24 from 0.01 am to 11.59 pm. 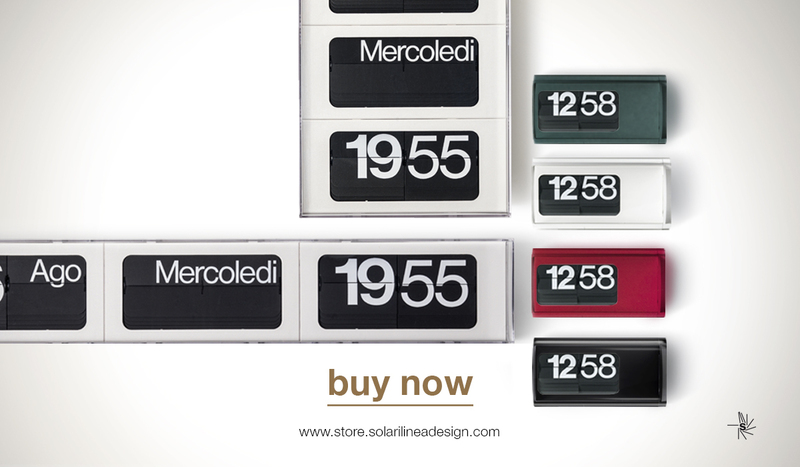 You need to enter the website, and use the Coupon Code - that you can request at webmarketing@solari.it - a unique opportunity to purchase the iconical Italian design clock, that since 1960 is a Made-inItaly renowned item throughout the world. Cifra 3 is the table clock designed by Gino Valle, characterized by the split-flap system developed and patented by Remigio solari. It is a renowned design icon, so that it was included inside the permanent collection of MoMA (Museum of Modern Art) of New York. 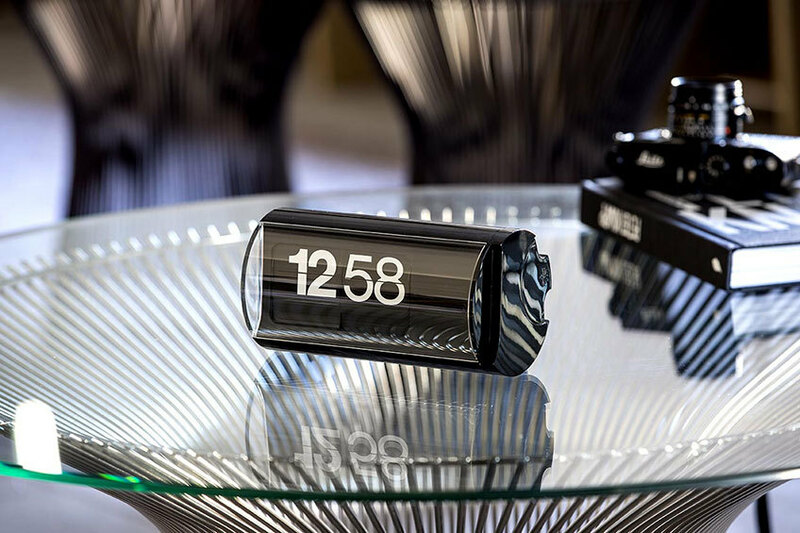 Dator 60 is a clock and perpetual calendar: thanks to the unmistakable spli-flap system, it displays hours and minutes, days of the week and month, in automatic, also updating February 29 and leap years. It is produced in two versions, horizontal or vertical. 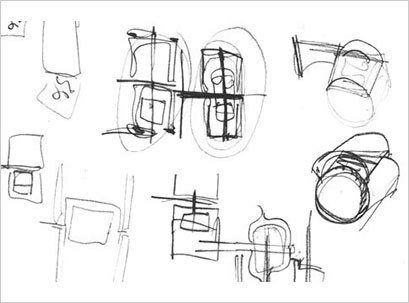 Design, ingenuity and innovation, with an unmistakable sound. Perfect and unchanging: like time itself / Rollers with digits which flip over cleanly and precisely, minute after minute. With no hands to interpret, the Cifra 3 is a table clock with white digits on a black background. 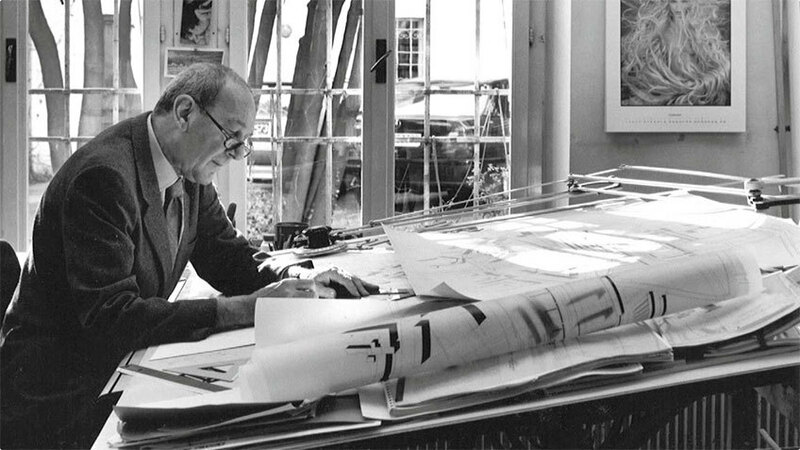 The lettering has a different typeface for hours and minutes and was chosen by Massimo Vignelli at the end of the sixties. Its functioning has remained unchanged since 1966: with periods of alternating current, which are converted into units of time, and the motor which generates the rotary movement of rollers and flaps. Simple and perfect. Today, just as it was fifty years ago, the mechanical perfection of the Cifra 3 is still dependent on the skilled craftsmanship of the person who assembles tha flaps by hand, one by one, in a specific sequence. They are the perfect gift for the upcoming holidays: choosing Cifra 3 and Dator 60 means only one thing: giving a piece of design that, thanks to the skilled craftsmanship, keeps the mechanical perfection that, since 1966, makes the digits rotate simply and perfectly. The online store of #solarilineadesign! 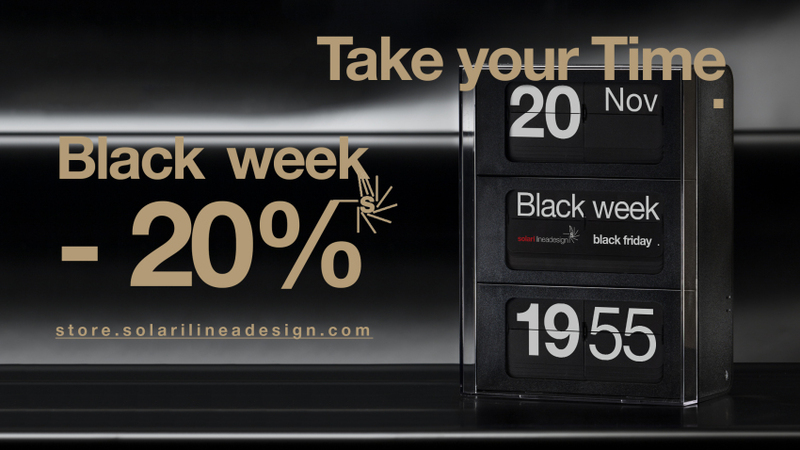 Buy now the perfect gift for design lovers! You can purchase online the most beautiful clocks of design history. The opening of the online store is the new achievement of solari lineadesign, providing to his clients a new purchasing way, even for who is far from the authorized dealers. 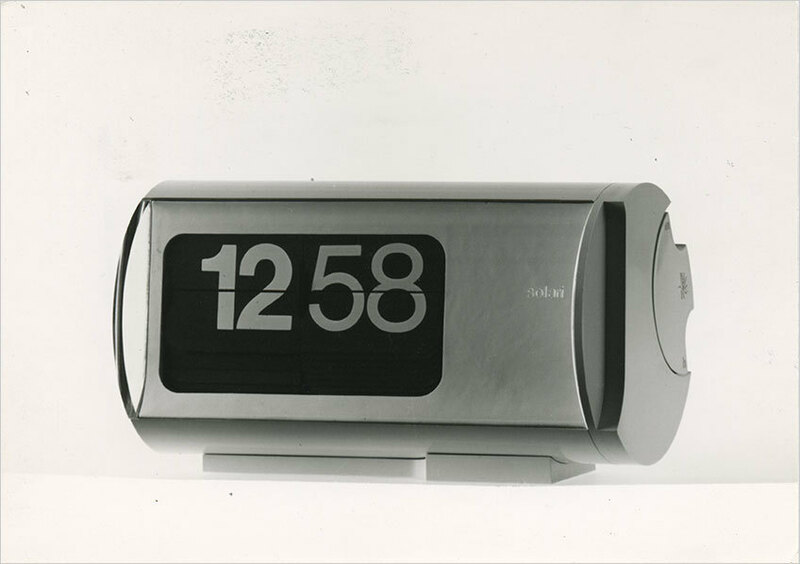 "The Clock That Time Cannot Improve"
Credit Joshua Scott / The Cifra 3 clock, designed in the mid-’60s by the Italian architect Gino Valle, with numbers designed by Massimo Vignelli. "Anyone who travels is familiar with the large flip-board displays indicating the gate of your plane, train or bus. Their distinctive shuffling sound, which sends travelers scurrying like a well-orchestrated flash mob, is so synonymous with departure that when Boston’s North Station upgraded its boards to LED displays, they were programmed to emit the familiar clicketyclack, as much for nostalgia as for necessity: How else to get passengers to look up from their phones? Less familiar — unknown, more likely — is the man responsible for effectively conducting this movement of millions of people for the past 60 years, Remigio Solari. His family’s business had been making clocks for towers in the Dolomites of Northern Italy since 1725. You could say the movement of time was in his blood, or perhaps he had too much of it on his hands, but in the late 1940s, the self-taught engineer had a breakthrough: Rather than hands that move around fixed numbers on a dial, he inscribed the numbers on metal flaps that rotated around a wheel. It was a revelation in terms of clarity, particularly when standing at a distance. In 1956, the first “Solari board” was installed in a train station in Belgium, becoming the worldwide standard for rail and airway travel soon after. Remigio died in 1957, but his brother Fermo continued his work. 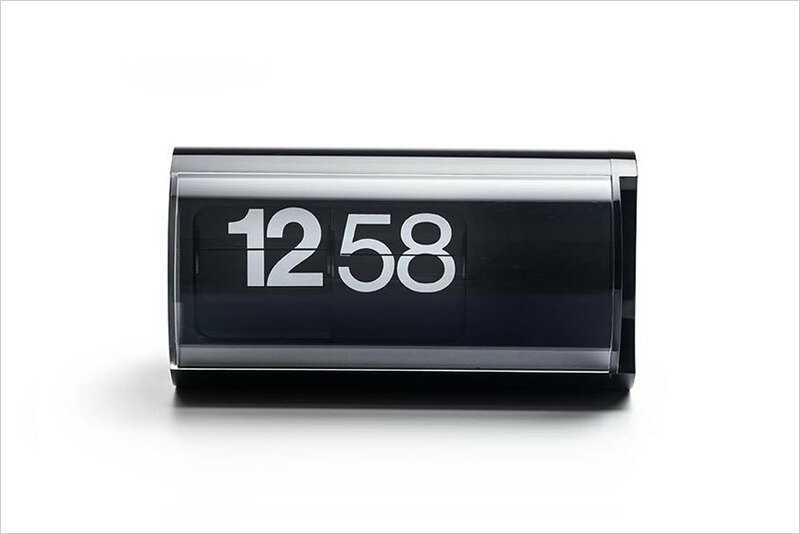 With the architect Gino Valle, the Solari company introduced a small electromechanical flip clock, the Cifra 5. 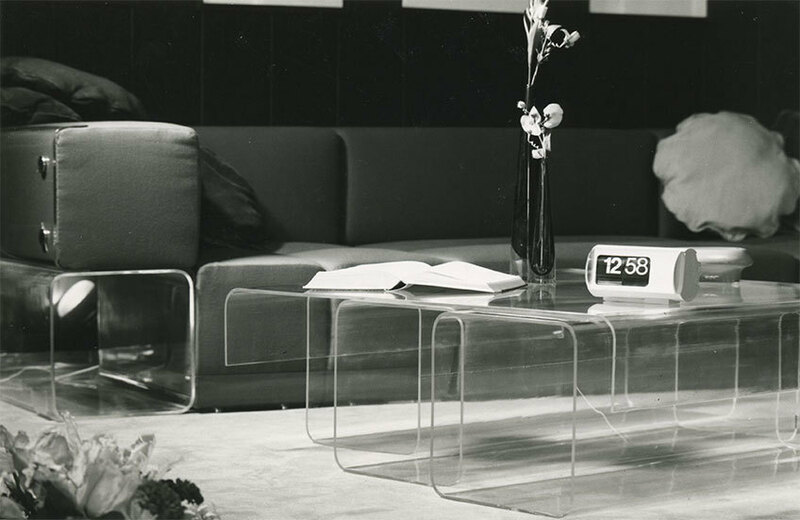 While this model won the Compasso d’Oro award at Milan’s International Furniture Fair, it was the Cifra 3, designed in the mid-’60s, which had families everywhere replacing analog clocks with the new technology. The minimalist packaging — a glossy thermoplastic cylinder to accommodate the flaps’ rotation — and the crisp sans serif digits designed by Massimo Vignelli, were soon copied by everyone from General Electric to Hitachi. I got my own Sony knockoff in 1972. It was the first piece of technology that I fetishized and had to have. Owning it felt somehow like I was invested in the future, or at least a part of it. Later I discovered the source of my so-called digital clock, the Cifra 3, at the Museum of Modern Art in New York, which had added it to its collection in 1966, because it was, and is, “the purest expression of industrial design,” according to senior curator Paola Antonelli. Then I had to have the real thing and found I wasn’t alone. The clock, discontinued in 1989, had an almost cultlike following, fueling a secondary market among collectors. Solari’s new owners took note and last year put the Cifra 3 back into production at their factory in Udine, where employees continue to assemble it by hand. I was able to get one of the first reissues in Europe (it becomes available in the U.S. this fall), and it now sits, not by my bedside, but on the mantel in my living room, next to other beautiful items, like a midcentury Lucy Rie vase. Although the Cifra 3 can’t compete with the Solari boards in terms of the number of customers served (the company estimates that it has helped 5.5 billion people navigate trips), it is — like its descendant, the iPod — a potent example of how design can elevate technology." The Cifra 3 is more than just a clock; it carries the ability to connect people from all over the world and it has done so since 1960. According to its website, the Cifra 3 is “considered one of the highest expressions of technology and creative design combined, between an engineering and communicative power.” Designed by Gino Valle at the end of the sixties, the Cifra 3 is recognized as a twentieth century design icon all over the world. 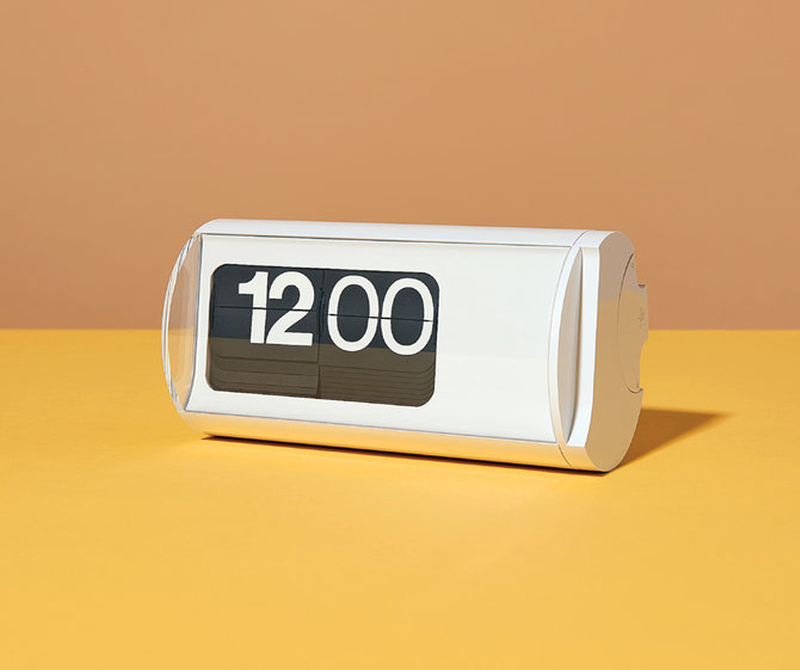 It is a table clock with white digits on a black background and its lettering has a distinctive typeface for hours and minutes, which was chosen by follow industrial designer, Massimo Vignelli. Its functioning has remained unchanged since 1966. With the help of Belgian inventor, John Myer, they gave the Cifra 3 a voice, using the flap system design, as well as its distinctive flipping sound, which also serves as an active representation of the incessant flow of time. Noted as one of the greatest inventions and designs in the 20th century, the Cifra 3 is included as a permanent collection at the Museum of Modern Art in New York City, as well as the Science Museum in London. Gino Valle is a world-renowned architect, designer and painter, who was born into a family of designers and artists, which probably explains why he University Institute of Architecture of Venice, and graduated in 1948 and in that same year, he followed his father’s footsteps, studying under him and his sister for some years. 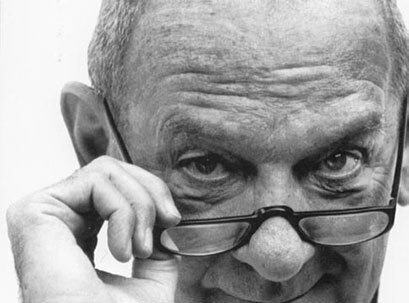 Interested in establishing relationships between people and simple objects, he later worked with major companies such as Zanussi, where he designed the plate refrigerator, which served as a breakthrough in consumer appliances at the time. In 1945, he began working with Solari lineadesign on their popularized flip clock, the Cifra 5. The electromechanical flip clock won the “Compasso d’Oro,” in 1956. 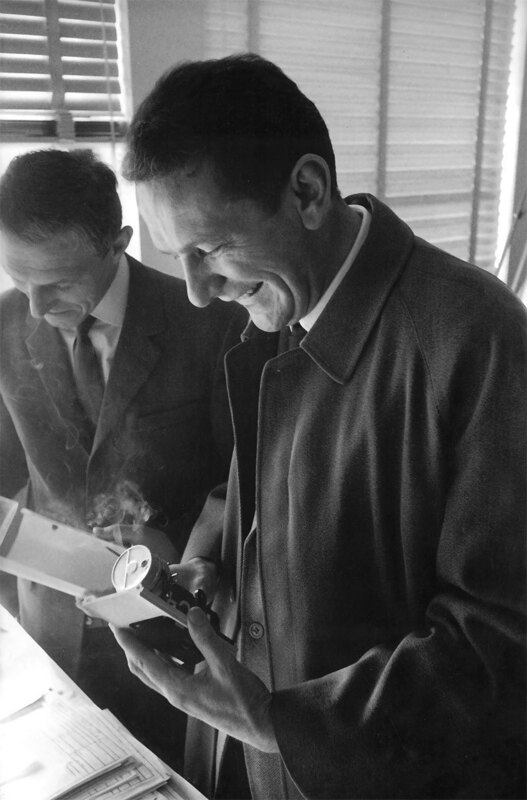 With the help of John Myer, Valle elevated the clock with rollers and forty flaps, containing digits and letters and at the end of the sixties, he created the Cifra 3 – which is displayed in railway stations and airports around the world.